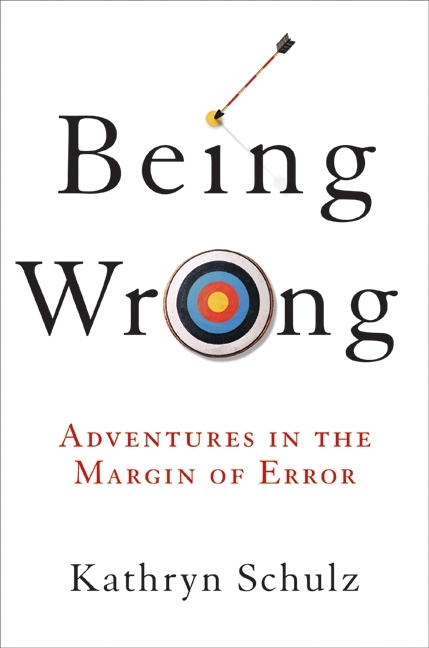 Being Wrong is an exploration of how and why making errors is a crucial, natural and necessary component of being human, and how we must embrace being wrong to grow as people. 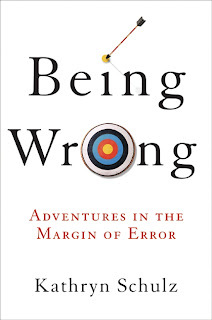 Falling into the psychology versus scientific realm, Being Wrong provides an interesting history of wrongness using numerous examples of pop-culture incidents; if you can consider an intricate look at being wrong an interesting subject, that is. Schulz's voice is very eccentric, and the book will flood you with a barage of examples on how being wrong has transformed people and generated numerous events and mis-adventures since the beginning of time. Schulz also uses the experiences of past leaders and world-renowned figures as examples in terms of how being wrong has been significant in history. Being Wrong reads very much like a narrative, and we can really hear Schulz's opinions on the matter. Because the book has this particular tone, it tends to be quite long, drawn-out, and somewhat boring in most places. "For us, as for those shoppers, something in the alchemy of the interaction often causes our half-baked hypotheses to congeal on the spot." What does that MEAN??!! What exactly is a "half-baked hypothesis"? As it stands, I don't think Being Wrong will be a great experience for someone who isn't a psychologist or even mildly interested in the subject of being wrong. I give kudos to those readers who can interpret and enjoy Being Wrong .